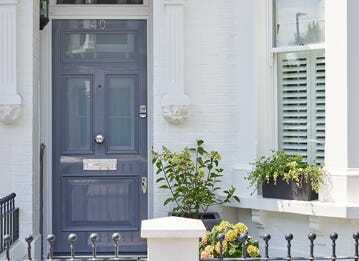 Even though completely eliminating the chances of someone breaking into your property is almost impossible, there are certain anti-burglary tips that will go a long way towards discouraging opportunist burglars and deterring them from considering your house as a viable and easy target. Burglars will always assess first the security of the most common entry points – doors and windows. High quality door and window locks are the first-line deterrents for burglars and intruders and a solid countermeasure to break-ins. Always ensure that your locks are compliant with the British Standard 3621 and feature at least a 5-pin cylinder. 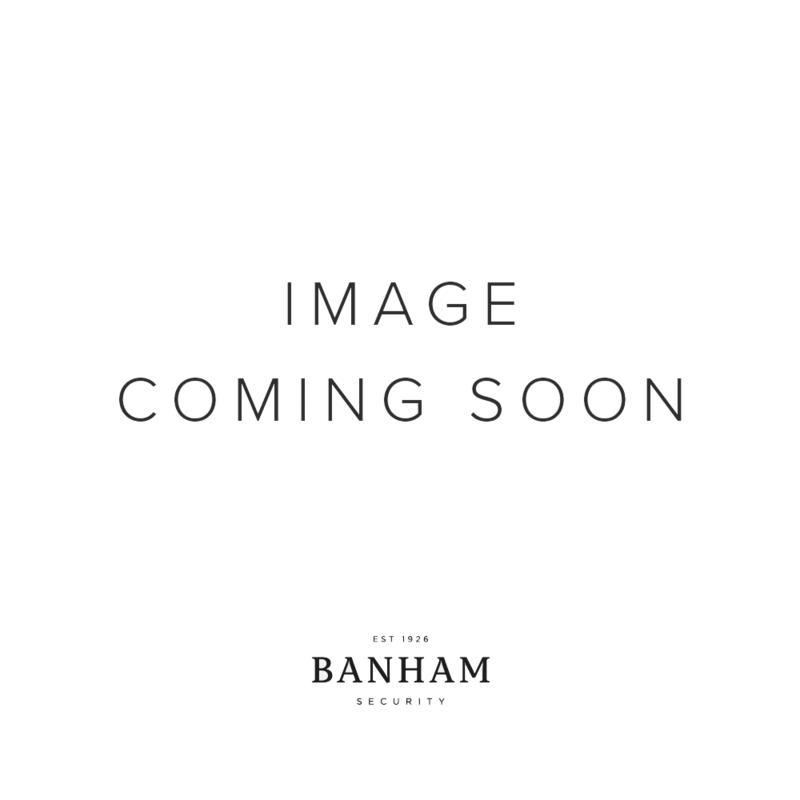 Banham maximum security door locks comply with the British Standard 3621 and provide increased security levels as they feature 6-pin drill resistant cylinders. 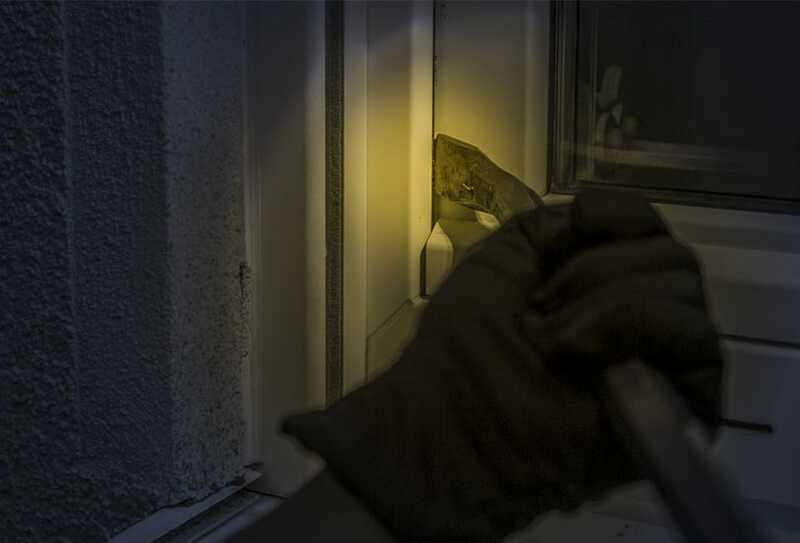 Finally, never forget to always lock windows and door locks – something that may seem a given, but the truth is that several homeowners fail to remember this little ‘detail’ and provide the opportunist burglars with the incentive they need to attempt a break-in. According to the latest stats, a whopping 7 out of 10 homes in the UK do not have a burglar alarm. A lot of homeowners, in their effort to save money, skip installing a professionally-maintained burglar alarm or they opt for a dummy bell box in the hopes of scaring burglars away. Unfortunately, most burglars are able to immediately tell if an alarm box is fake so practices like this are not advised. Conversely, a high-end burglar alarm with monitoring and alarm response services will enhance the security of your home or business premises and ensure that your property is safeguarded 24/7, 365 days a year. Not only will an intruder alarm deter burglars but it is also a necessity for most Insurance companies. 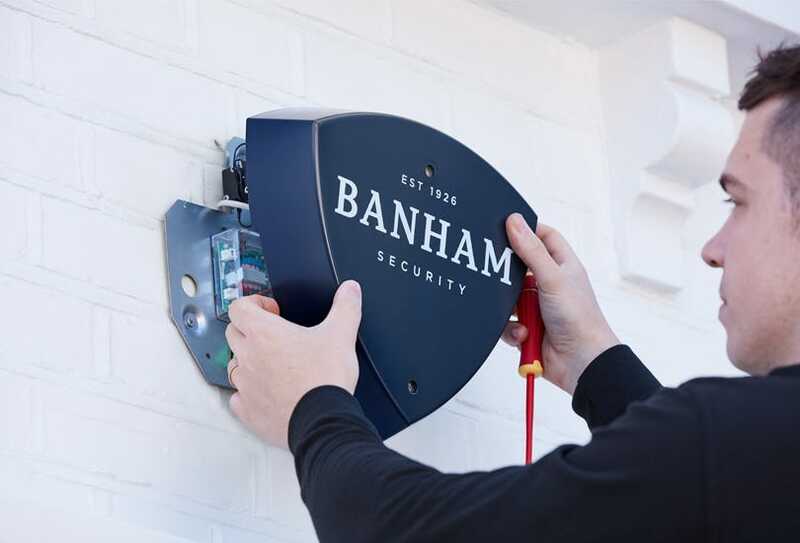 Whether you are interested in residential or commercial burglar alarms, Banham provides a complete range of products as well as maintenance and monitoring services. This is another ‘sign’ that the owner might not be at home or that neither the locks nor the alarm are being properly maintained and serviced. Keep every lock and any other visible piece of security equipment clean and in a good condition. Instead of leaving porch lights or the backyard lights on all the time, equip your home with external sensor lights. It will startle anyone who is trying to use any shadowed parts of your home to gain access through a window or a door. 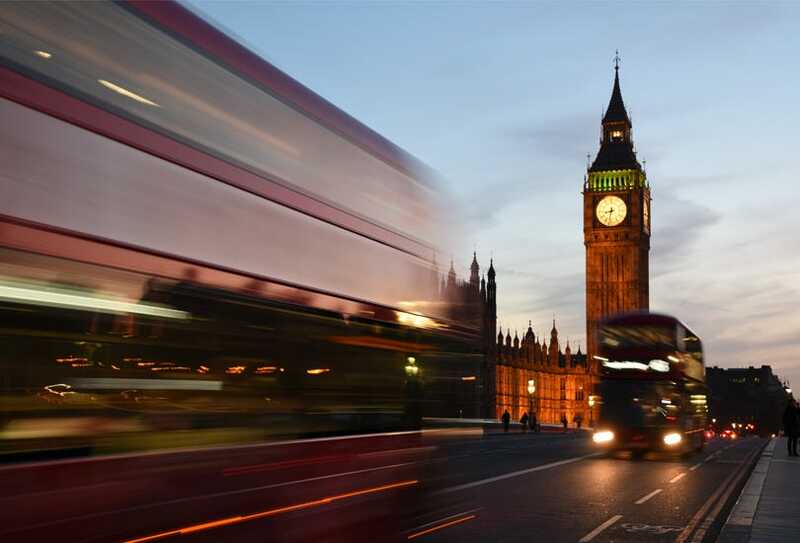 According to a study by the Royal Statistical Society, houses that utilise window locks, indoor lights on a timer, double door locks, and external motion sensor lights are 50 times more protected than a property without the aforementioned systems. Simply leaving the indoor or outdoor lights on while you’re away doesn’t cut it anymore. 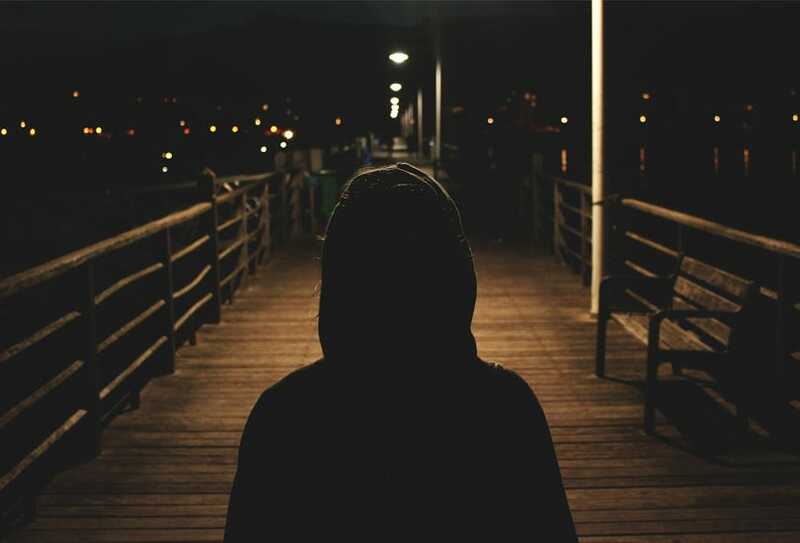 Burglars can figure out the ‘abnormal’ lights behaviour and in combination with not being able to see any movement inside the house through the windows, it’s enough to give your ‘secret’ away. Investing in a timer switch for your lights is a very effective burglar deterrent. The timer switch allows you to schedule different patterns for your lights each day so that it will look that there is actual movement in the house from the outside. There are numerous stories in the news with footage of burglars being caught in the act because a CCTV system was installed and recording during the break-in. Equipping your home or business premises with cameras inside and outside, will go a long way in deterring burglars and keeping your property safe. 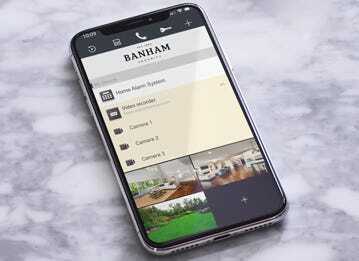 At Banham, we offer a wide range of CCTV systems both for residential and commercial premises. Seasoned burglars know exactly where to look for valuables like cash, credit cards, and jewellery. 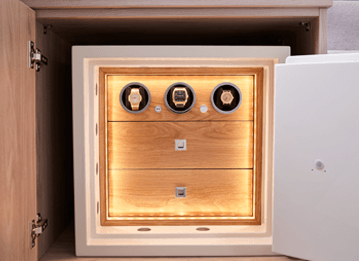 While cupboards, wardrobes, shoeboxes, underwear drawers, and other similar places might seem as logical spots to hide your precious belongings, they are among the first places that a burglar will look. Investing in a safe is the only way to keep your valuables safe at all times. When it comes to safes, it is advised that they are secured to the floor or bolted to the wall otherwise they could become easy prey for burglars, especially if they are small. Plus, insurance companies will not cover the loss of any valuables as your insurance policy will be voided. 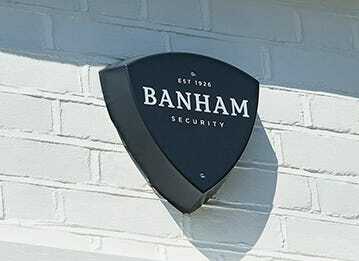 Banham offers a wide range of safes in various sizes and with different cash ratings to cover your specific needs. Preventing someone from entering your home could come down to something as simple as a letterbox protector. Usually overlooked by most homeowners, letterbox protectors can deny intruders access to your premises as burglars are known to utilise objects to manipulate locks or even retrieve your keys from the outside through the letterbox. Join your neighbourhood watch. 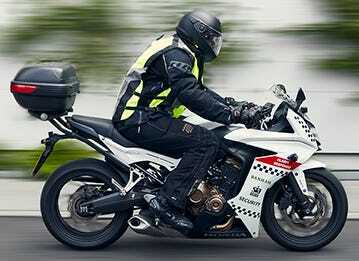 A security proactive neighbourhood is a significant burglar deterrent. Don’t let mail, flyers, and newspapers build up in a pile at your front door as this is a tipoff to burglars. Don’t leave stools, chairs or other furniture in your backyard as burglars can use them to climb through your windows. 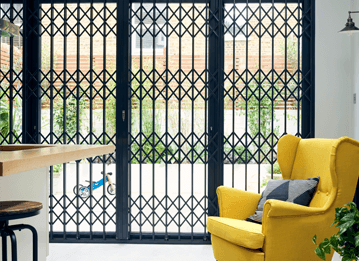 Consider having sturdy security grilles or gates installed to make your house look impregnable. The more effort the burglar will have to put into breaking in, the less likely it is they will attempt it. Don’t share your traveling plans or your daily schedule on social media, as burglars have been known to monitor social networks to identify when you are not at home. If your house has a front or backyard, maintain your landscaping. Hide valuables from plain sight; for example, don’t leave your expensive laptop on the coffee table, which is visible through the front window.